March is Lymphedema Awareness Month!! 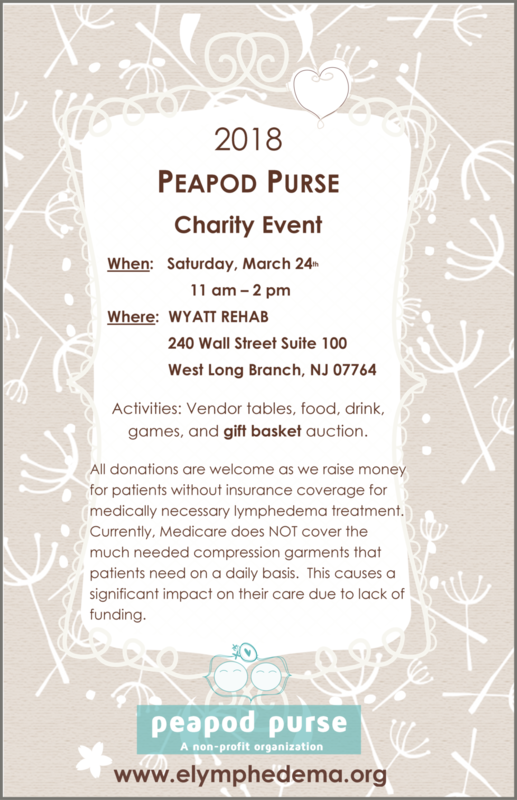 Every March is marked Lymphedema Awareness Month and our annual fundraiser event is always a great step toward increasing lymphedema awareness in our community. Many patients, who need the necessary lymphedema treatment, including compression garments, have no insurance coverage and are unable to afford them. With the funds raised at the Charity Gift Basket Auction, and through other events throughout the year, we are able to offer patients compression garments they need for their care. 1. To raise money for people who have lymphedema but have limited or no insurance coverage for lymphedema treatment and/or compression garments. 2. To increase awareness of lymphedema in the community as well as to other health care professionals. With your help, we are able to raise more awareness and allow patients the treatment that they require to manage their condition. Please click on the Fundraisers page or the Lymphedema Awareness Walk Page to learn more about ways you can help! Sign up to be on our Mailing List. Your information is always secure and never shared.